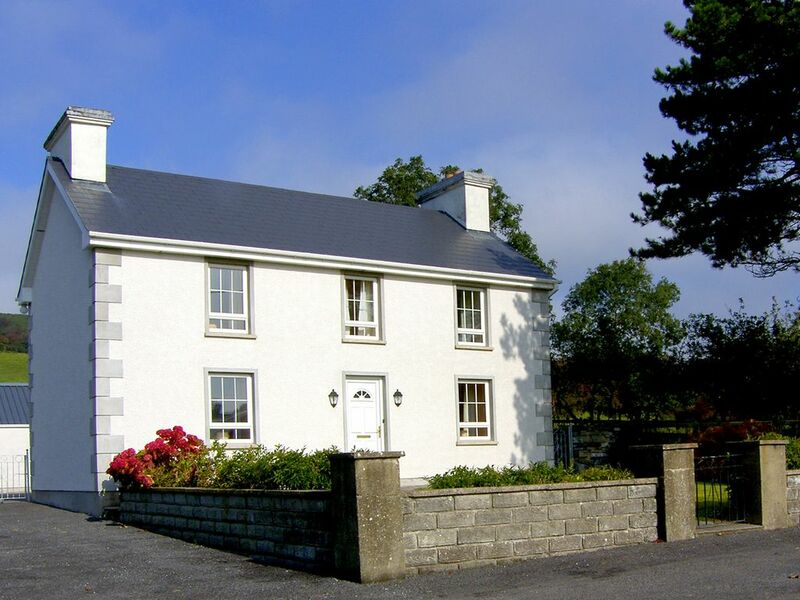 This immaculate farmhouse sits just 2 miles outside of the seaside resort of Rossnowlagh. Lovingly restored, it is tastefully furnished and fully equipped. It boasts a second lounge as well as large and comfortable bedrooms. Wi-fi available. The extensive beach of Rossnowlagh is popular with families and is known as one of Ireland's best surfing beaches. This home makes a great touring base for the rest of the North West and is just 8 miles from Donegal Town with all city attractions and amenities.Shop. Pub. Restaurant. Beach 2 miles. GF: lounge, kitchen/diner, 2nd lounge, w.c. FF: 3 doubles 1 with ensuite shower room, single, bathroom with separate shower.Oil by meter read and electricity by meter read, open fire with fuel supplied, wood burner with fuel supplied, linen and towels included, travel cot, high chair, stair gate, TV, dvd player, radio, CD, fridge/freezer, microwave, dishwasher, washer/dryer, internet access, alarm clock, welcome pack, fully enclosed garden, sitting out area, picnic bench, bbq, private off road parking. One pet welcome.